You can find him in his house back at the Survival Area. Then talk to him to get him to return the Magma Stone (I think) and you go back to Stark Mountain to battle Heatran. 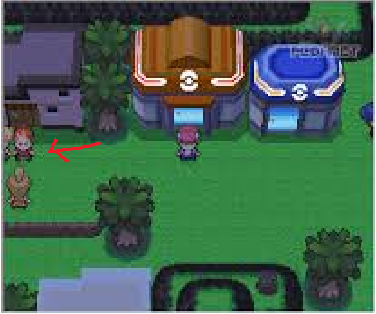 After Buck gets the Magma Stone you must go to his house in the Survival Area (the house to the left of the Pokémon Center) and talk to him and his grandfather. Buck will go put the Magma Stone back and now you can go to the room where you first found the Magma Stone and Heatran will be there ready for you to catch. He is in the house at the left of the Pokemon Center. You can find Buck in the Survival Area. Go to his house in the Survival Area, which is next to the Pokemon Centre. He will say ''Gotcha, gramps! I'll put the Magma Stone back. The Magma Stone was keeping the volcano Pokémon under control. It's all right, though. I can go put it back myself", and you can get the Magma Stone then. Where in Stark Mountain do you find the Magma Stone (in Platinum) after Buck puts it back? Where to find a Moon Stone in Pokemon Diamond? Where can I find the move tutor in Diamond? Where can I find Aipom in Diamond?